We bought an Amazon Echo last year and have absolutely loved using the device. We weren’t certain at first if we’d like the Amazon Echo as it enables you to have a smart home (more on that later), but were willing to give it a try. We’ve become an Amazon home with our Amazon Fire TV Sticks, Amazon Fire TV, and Ring Video Doorbell Pro just to name a few things. 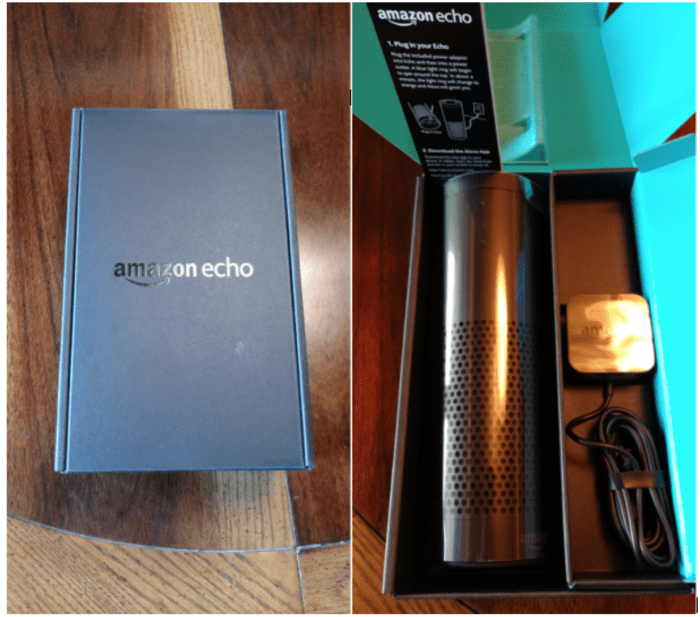 If you’ve never heard of the Echo, or are curious as to what it does, hopefully you’ll find my Amazon Echo review helpful. What Does the Amazon Echo Do? You may wonder “what does the Amazon Echo do?” and that is a fair question. I thought I knew what it did before we bought it and have been impressed by the number of new functions and uses I’ve discovered. In short, the Echo is a 10-inch tall smart device that you control with your voice. You activate and use the Echo by calling out it’s name, “Alexa,” (the “wake word” of the device) and asking it to perform a certain task. This can be anything from asking Alexa what the weather is outside, to reading you the news and sports scores, playing podcasts, taking math quizzes, to telling you a joke – and much more. This is all done hands free. We’ve found the hands free, voice activated device allows for more efficiency around our house. We can be in the kitchen making dinner and use it to create to-do lists, make a grocery shopping list, or catch up on the news for the day. We’ve connected the Echo with my Spotify account (unfortunately, it can only be tied to one Spotify account) and use it to play music in our main living area. Additionally, banks are seeing the growth of devices like the Amazon Echo and are starting to allow you to access bank accounts and pay bills. **Looking for deals on Amazon devices? Check out the Amazon device deals page to see how much you can save on all their devices this holiday season. I’m going to be honest, I don’t know that I’d personally do that but would be willing to give it a try – our bank currently does not offer the ability but I’d be willing to try it out. There are many other things the Amazon Echo can do, which I’ll cover in additional sections. What Comes With the Amazon Echo? They also have a voice remote for the Amazon Echo available for purchase, but we’ve not found it necessary to buy. You simply select a spot to place your Echo (I’d suggest somewhere out of reach of kids) and plug it in. From there you set it up through downloading the free Alexa app, which is available for both Android, iOS, and Fire OS devices. 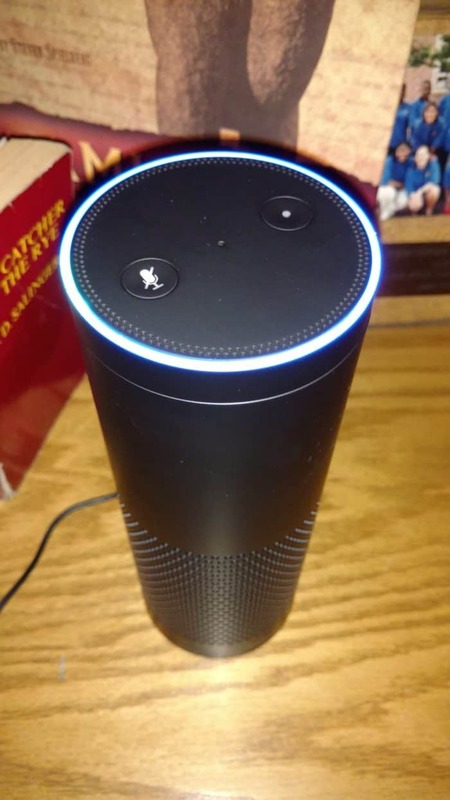 After installing the Alexa app, it took just a few minutes to set up the Echo and we were ready to go. The app walks you through the whole process so it’s pretty simple. The app is pretty slick to use and much of our interaction with the device has been through the app as you can customize it to recognize your voice and learn your preferences. The Amazon Echo may seem limited by reading what it does; it’s not. You can fully customize your Echo through the Amazon Echo Skills. 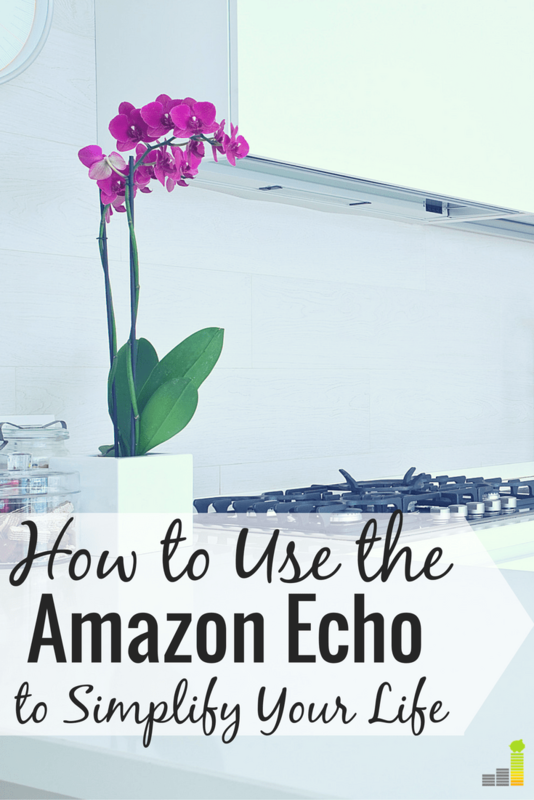 Think of skills as apps you would install on your smartphone, but for the Echo. Amazon offers over 50,000 such skills – anything from allowing you to order a pizza to a quick workout to mindfulness exercises and much more. Voice ordering – I discovered this little hack when going through the Alexa app that voice ordering is defaulted to be on. Not wanting one of our kids to buy 10 barrels of red vines, I turned this feature off. Fire TV connection – Regardless if you have a Fire TV Stick or a Amazon Fire TV you can connect the two devices. 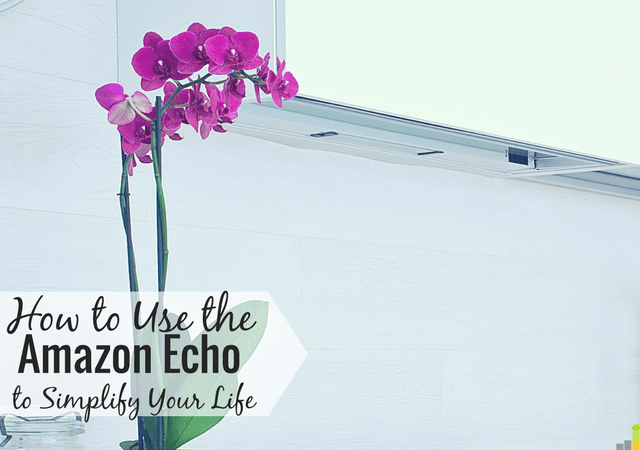 This allows you to control your device through the Echo. The Amazon Fire TV channels list is pretty impressive and lets you access a wide variety of streaming platforms. Connect it to your Google Calendar – Simply go into the app, then select “Settings”, then select “Calendar” and you connect it to Google. Then, whenever you want to know what’s on your calendar or know when something is scheduled, you simply ask Alexa. Discover new restaurants – Make sure your settings in the app list your location to use this hack. You can ask Alexa, for example, “Alexa…what are the best Mexican restaurants near me?” and it interacts with Yelp to provide you the best local Mexican restaurants. You can also ask follow-up questions like hours, phone number and how far away it is. Mute Amazon Echo – If you have young kids like us, they were instantly hooked on the device. That can be a bit on the annoying side and muting Alexa can be a welcome relief. You simply tap the microphone button with the cross through it and it mutes Alexa. This is particularly helpful during dinner! Connect other family members – If you share your Amazon Prime account with a family member (I do with my wife, for example) you can household them with the Echo by going to “Settings” then “Household” so they can order items through it or personalize it if they like. There are many other Amazon Echo hacks, from what I’ve read, but this should give you a good start. You should also know that Amazon offers two other variations of the Echo – the Amazon Echo Dot and the Amazon Echo Plus. The Echo Dot is smaller, with many of the same features of the standard Echo. The Echo Plus is a bit larger than the standard Echo, with premium sound offerings. Making your house a smart home is really the big draw of the Amazon Echo. I’ll admit, I’m not too keen on it on the surface but there’s a big upside to using smart home technology. Thankfully, the Echo integrates seamlessly into smart home technology so you can use it to do anything from turn on/off light switches to turning on/off the television. We use the Ring Video Doorbell Pro and have it connected with our Echo. It works seamlessly with the device and was a relatively quick setup. Having used the Amazon Echo for the past year I can say that we’ve really come to enjoy the device. We love how it allows us to make things more efficient like utilizing the list or Google calendar features as well as the ability to order an item from Amazon when we notice it’s time to reorder. The device isn’t perfect as we’ve found the bass to be a bit weak at higher volumes and the skills list is not very organized. I’d also like to see the voice ordering option to be a default “no,” but that’s a simple fix if you want to disable the feature. Given that the Amazon Echo is roughly two years old I’m excited to see the new features they’ll add in the future. The Amazon Echo is well worth the purchase, in my opinion, if you want to manage things more efficiently and love using Amazon like I do. Do you have a smart home? What are some of your favorite, least favorite things of having that ability? Are you creeped out by having a voice activated device in your home? Such a cool gadget. It will be interesting to see how it advances in the next few years to adapt to more smart home technology. Thanks for sharing! Im not going to lie, this has made ne curious as of late. I already love the voice activated commands yiu can use with Google. Ive also seen that google has something similar. I need to try one out!